Shri J P Nadda also unveiled the PMJAY logo to the media while SmtAnupriya Patel, Minister of State for Health and Family Welfare launched the Anti-fraud Guidelines. Shri Ashwini Kumar Choubey launched the Data Privacy and Information Security Policy. This was stated by Shri J P Nadda, Union Minister for Health and Family Welfare during a press conference on Ayushman Bharat – PradhanMantri Jan ArogyaYojna (AB-PMJAY), here today while addressing the media. Shri Ashwini Kumar Choubey and Smt Anupriya Patel, Ministers of State for Health and Family Welfare along with Shri Indu Bhushan, CEO, AB-NHA were also present at the press conference. Shri Nadda further said that the scheme architecture and formulation has undergone a truly federal process, with stakeholder inputs taken from all States and UTs through the national conclaves, sectoral working groups, intensive field exercises and piloting of key modules. 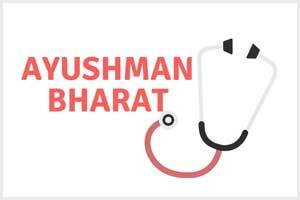 Shri Nanda cautioned that strict action will be taken against those running the fake websites on Ayushman Bharat. He categorically clarified that no enrolment is required for beneficiaries and there is no payment for obtaining services at empanelled hospitals. “Criminal cases will be charged against fraudulent websites and agents trying to collect money from beneficiaries,” he added. Shri Nanda stated that ArogyaMitras training is being conducted in collaboration with National Skill Development Corporation (NSDC) and Ministry of Skill Development to strengthen implementation and operational preparedness. “Training has already been initiated in 15 states/UTs,”ShriNadda said. Reiterating the commitment of his government, the Union Health Minister said the objectives of the AB-PMJAY is to reduce out of pocket hospitalisation expenses, fulfil unmet needs and improve access of identified families to quality inpatient care and day care surgeries. “The services will include more than 1300 procedures covering pre and post hospitalization, diagnostics, medicines etc., and the beneficiaries will be able to move across borders and access services across the country through the provider network seamlessly,” ShriNadda stated. Addressing the conference, Shri Nadda said that the Government has given total flexibility to the States to choose their own modes of implementation among Insurance, Trust or Mixed Mode and Government is ready to provide the required support also. He further said that NHA Information Security and Data Privacy are being institutionalized to provide adequate guidance and set of controls on the secure handling of Beneficiaries Personal Data and Sensitive Personal Data in compliance with all laws and regulations applicable. “The information security is based on international best practices and India specific regulations and more than 94 controls set at various levels for secure handling of sensitive personal data. Strong measures have been taken to ensure security and privacy of data obtained, stored and used based on international best practices and India specific regulations,” ShriNadda said. Later, Shri J P Nadda and ShriDharmendraPradhan, Minister of Petroleum & Natural Gas and Skill Development and Entrepreneurship presided over MoU signing ceremony between National Health Agency (NHA) and National Skill Development Corporation (NSDC) for skilling 1 lakh ArogyaMitras.Shri Ashwini Kumar Choubey and SmtAnupriya Patel, Ministers of State for Health and Family Welfare were also present at the ceremony. ShriInduBhushan, CEO, NHA and Shri Manish Kumar, MD and CEO, NSDC signed and exchanged the MoU. NSDC through the Skills Development Centres under the larger National Skill Qualification Framework including PradhanMantriKaushal Kendra (PMKK), Centres of PradhanMantriKaushalVikasYojana (PMKVY) will help NHA in building the capacity of ArogyaMitras.PradhanMantriKaushal Kendra (PMKK) platform would be used to train and certify ArogyaMitra at each hospital. NSDC through Health Sector Skill Council (HSSC) is preparing training content and will train PMKKs from all the states. In future, the platform of NSDC would also be used to build the capacity of staff other than ArogyaMitra, this will contribute heavily in the area of skill development.